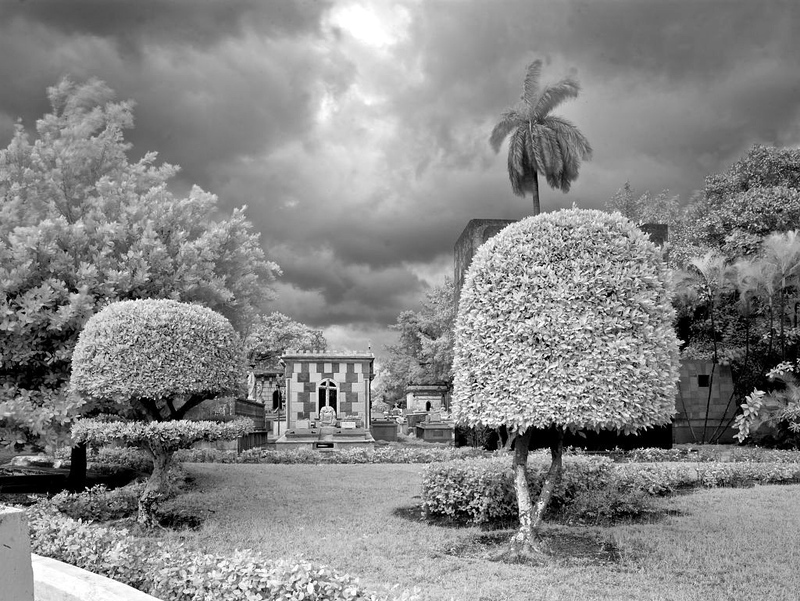 “Necropolis de Colon, Havana, Cuba,” 2010, by Carol Highsmith, via the Highsmith Archive, Library of Congress Prints and Photographs Division. The Cementerio de Cristóbal Colón [Christopher Columbus] was founded in 1876. The 140-acre cemetery is located in the Vedado neighbourhood of Havana, Cuba, and holds more than 500 family vaults, mausoleums, and chapels. Carol M. Highsmith is a contemporary photographer who has specialized in documenting architecture and landscape — high and low — in all 50 American states. Her influences are Frances Benjamin Johnston and Dorothea Lange. You can read more about her life here. Highsmith is donating her life’s work — more than 100,000 images — copyright-free to the Library of Congress. 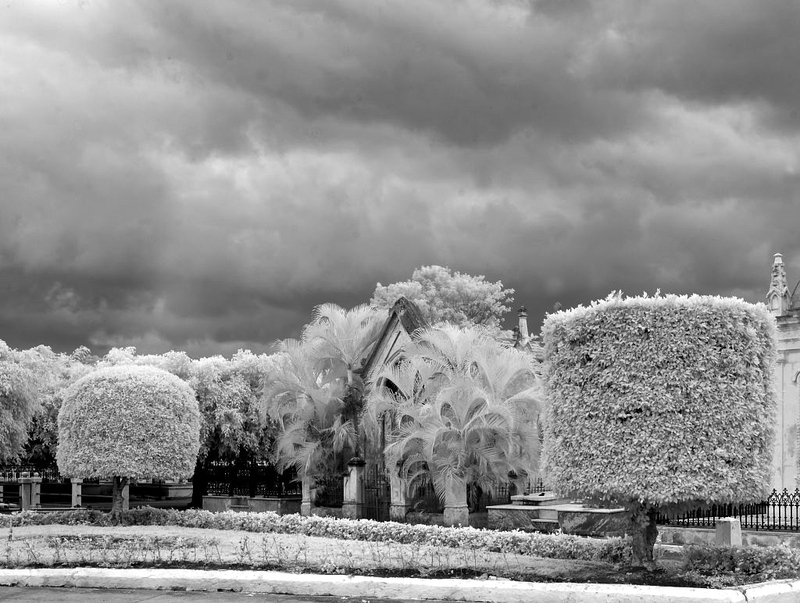 Many of her images are printed in the distinctive black and white style shown here. A garden should make you feel you’ve entered privileged space – a place not just set apart but reverberant – and it seems to me that, to achieve this, the gardener must put some kind of twist on the existing landscape, turn its prose into something nearer poetry. from prose to poetry – that is daunting, but so rewarding when it all sings out together. I love the word ‘reverberant.’ You’re right, it is daunting. It’s lovely how she’s exposed it — especially those palms in the first picture.